One of my favorite things to do is play fetch with Jedi. It's a great way to unwind after a difficult day at work. It doesn't require much thought on my part and Jedi loves its so much. In fact, if I'm on the computer too long and/or Jedi is feeling restless he will bring me a ball. What's with the sideways smile? 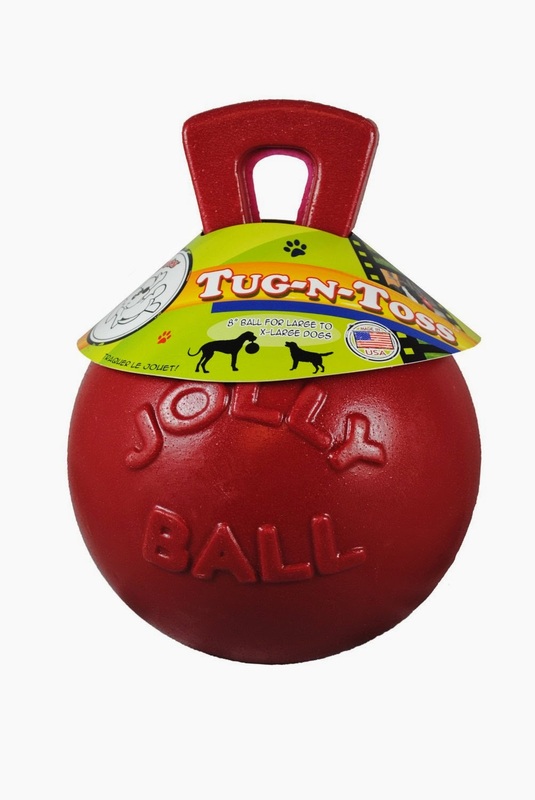 The other ball Jedi got was an 8" Jolly Pets Tug-N-Toss Ball. I had read somewhere (can't remember exactly where, sorry) that these things were great for active dogs. I couldn't wait to share it with Jedi. This one is a lot of fun, though I think I should have bought the 10". The ball is surprisingly light as well. 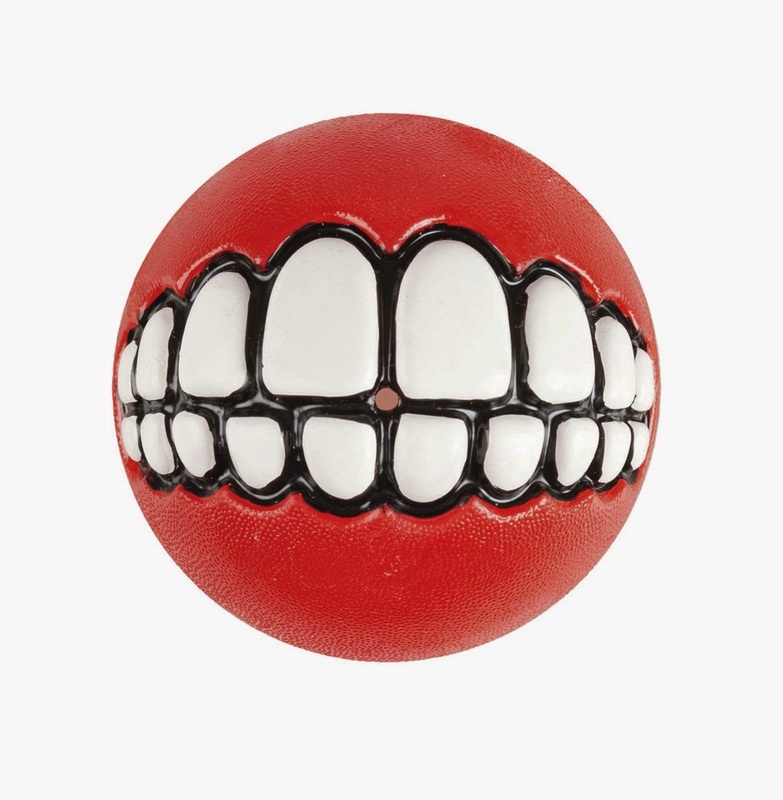 The handle makes it easy to fling, and the handle makes the ball bounce in unpredictable directions when it lands. Jedi will run out into the yard and try to stop it with his feet. Then he'll carefully pick the ball up by the handle and bring it back. The packaging says that this ball also floats and won't go flat even when punctured. Good thing too, because Roxy kills balls. Both these balls are a big hit with Jedi, but if I had to pick a winner it would be the Jolly Ball. Both of these are great for those times that Jedi needs to run around and I'm to tired (or sore) to run with him. In fact, I'm thinking a few doggie-friends might find a Jolly Ball under the Christmas tree this year -- if I can find a way to wrap it!